In the Sierras the transition between summer and fall happens much quicker than it does in the valley, one day you're in indian summer the next day you're in what feels like early winter. 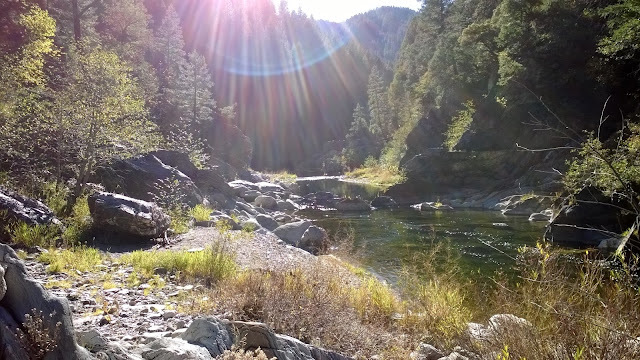 It was truly fall in Quincy, California and on Monday I took the opportunity to fish the Feather River Middle Fork. 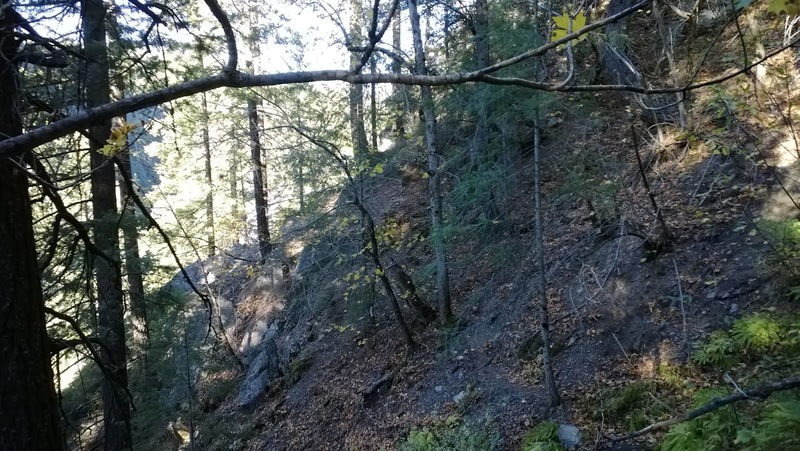 I started at Nelson Creek and made my way downstream. The flows were much lower than they were when I last visited in the spring. The water was also much colder. I opted out of bringing my waders because I wasn't planning on fishing the Middle Fork. Impulse trip! Each step into the water was mind numbing. As the day progressed the air temperature went up a few degrees which helped warm up some of the areas in the Middle Fork canyon. This little bit of warmth kept me from getting hypothermia this trip. I had a lot of fun throwing streamers my last trip on the Middle Fork so I used the same tactics. My Hero Sculpin and Zonker Buddy caught several nice 10" - 14" aggressive, wild, and native rainbows. 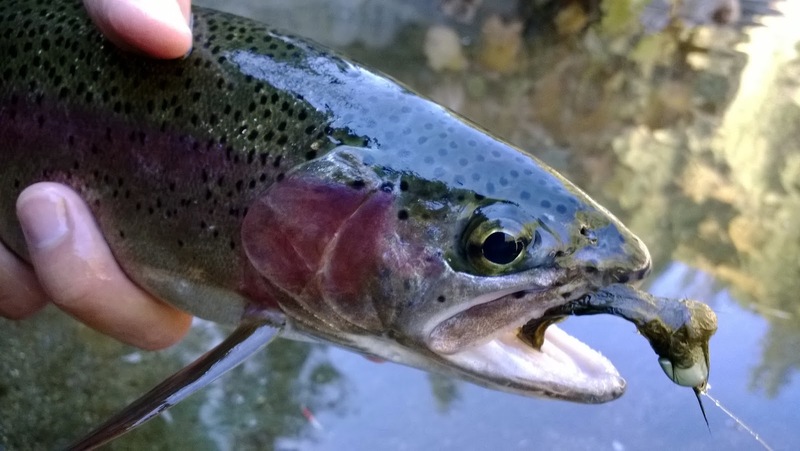 These fish really commit to their strikes which makes fishing streamers fun and effective. 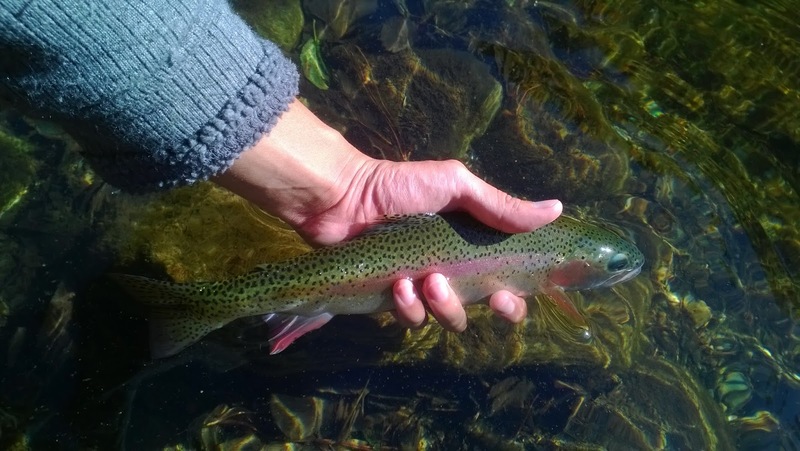 Most of the fish I caught were holding in runs and riffles about 2-3ft deep. I didn't find very many fish in the deeper pools or shallower water. Once I figured out where the fish were, I had to hike, boulder hop, bushwhack, and wade to get to the right spots. Easier said than done! Fly fishing is definitely keeping me in shape. The hike back to my car was a killer. Up and down on narrow trails and across frigid waters, I timed the hike back to my car at 1hr 20mins. 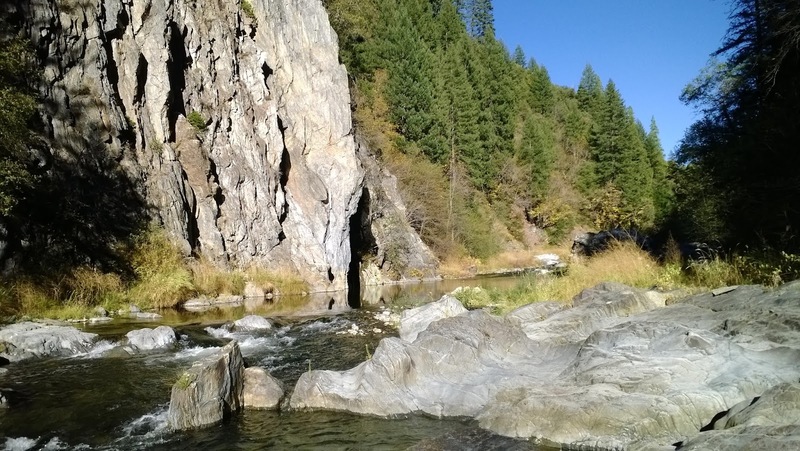 If you want to plan a day trip fishing the Middle Fork definitely make time for the hike back. There is still more to explore on the Middle Fork but it may be necessary to make it a backpacking trip if I want to go deeper into the canyon. Tough access but well worth it.